For your own safety and the maintenance of your vehicle, it is very important that you regularly check and replace tyres when necessary. When the bead or the sidewall is damaged, there is any hole in the trade with a diameter bigger than 6mm or you are using the tyres for a longer time than what is recommended, it is high time for you to change your used tyres. To help you to find the best car tyres and the nearest tyre shop in Farnham, Infoisinfo has prepared a directory for you. 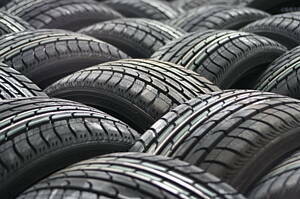 There are different types of tyres depending on climatic conditions, terrain and the vehicle. Summer tyres: enough for cities where climate uses to be sunny and dry. Winter tyres: great performance when raining and snowing. All season tyres: although they work fine for all seasons, they are not the best choice for very cold weather. West weather tyres: perfect to cope with all the risks on road that rain involves. Performance tyres: they are designed for sport cars and can endure high temperatures and speeds. All terrain tyres: these tyres of strong traction can endure wet weather and mud. Run flat tyres: they are becoming the most popular ones due to its capability of keep working safely even with a puncture. 4x4 tyres: designed for vehicles of fourwheel drive. Eco tyres: designed to reduce fuel consumption. At Infoisinfo we always work hard to be able to show you where to buy and hire the best products or services in Farnham for you and your company. Since we care about road safety this time we’d like to help you to find the best tyre traders that guarantee quality and safe products. For this reason, we’ve prepared a list of the best tyre stores in Farnham so that you can find every kind of car or truck tyres, from fitted tyres to performance tyres or retreat tyres, among others. On our website, contact details are provided, like phone numbers, websites, address or opening times. In addition, you can have a look at comments and valuations from other clients to get a better idea about the products of the different tyre dealers.